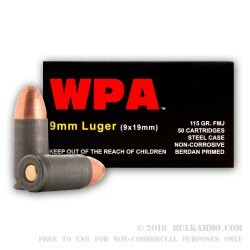 If you're looking to cut down the cost of your 9mm practice or just get a few more rounds in for the same price, use Wolf ammo. 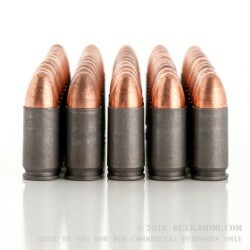 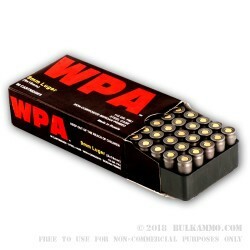 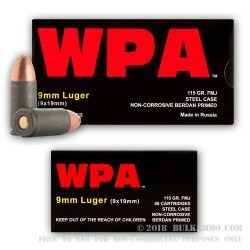 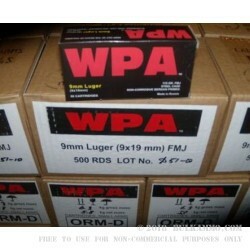 These 9mm Luger cartridges come in boxes of 50 and fire a 115 grain bimetal jacketed bullet. 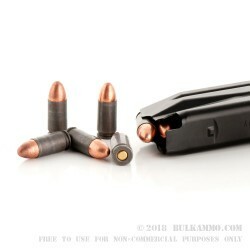 This is a standard pressure load that will work well in both older guns and compact handguns like the SIG P938, Glock 43, Smith & Wesson M&P Shield, or Springfield XDS. 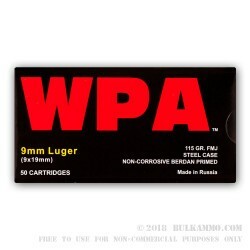 This ammo is loaded in Russia using non-corrosive Berdan primers and steel cases with polymer coatings for better feeding and ejection. 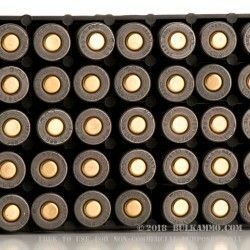 Steel cases are not reloadable and give this ammo magnetic properties; they may not be suitable for all indoor ranges. 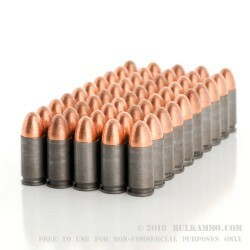 However, steel is also much less expensive than brass!